Most of us plays GTA5 to have fun and be crazy in this open world game. People just love to play this game because the freedom is so much higher than in real life where rules and laws must be followed or Police will put you much easier into jail than in GTA5. But what can we learn from GTA5? Is there anything to actually learn from it in real life? Distrita got the 5 Things you can Learn by playing GTA5. 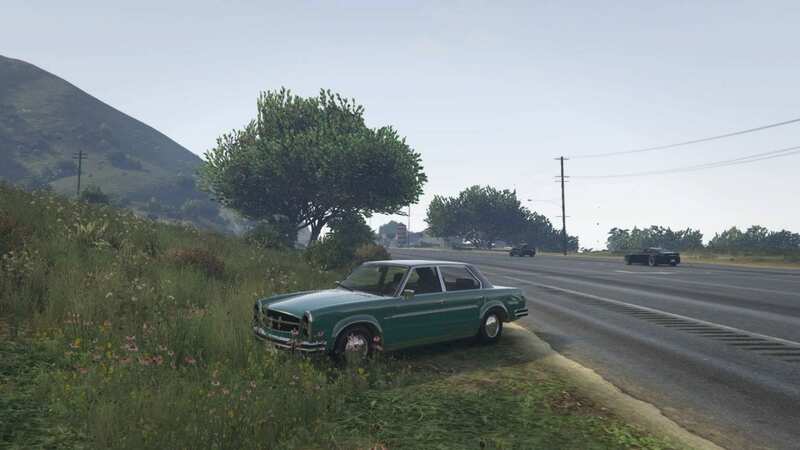 In GTA5 game, you can take photos while walking around with your phone. You can actually learn a lot about how to take great pictures in this game. GTA5 light sources from the sky is very real life during day and night. You will be able to take photos with different light sources in the game faster than in real life, so when you go out you have learned a lot. With this game you can learn how to take stunning pictures without leaving your house. So the next time you take your mobile or a physical camera outside. The pictures outside when walking in the woods or in the city, will be better than before. With this game you can teach yourself a lot about becoming a great person taking pictures if you want…! So, GTA5 photo taking might give your family and friends big surprises. So, GTA5 game can also be used for serious photography learning. If you love to walk trips in the forest, near the ocean or into the desert. GTA5 got the ares for you. You can take a cable car up to the mountains or you can find walking trails where you can meet people with huge bags that is ment to inspire you to actually meet the real nature also. These trips in this game, can however be less fun if you meet wolfes or dangerous cats. But then again, this isn’t real life, or? 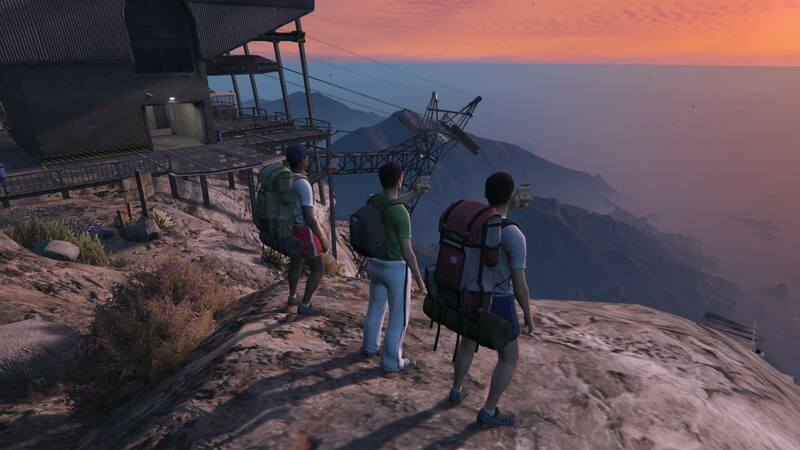 GTA5 also got mountain bikes for you to try out. It also got mountain road tracks especially made for bikes. Taking this very same cable car up to the mountain, you will find some nice mountain bikes or even motorbikes at the top. Then just try one of them and have a adrenaline rush down the mountain. In this section you also learn how to actually behave when biking in the woods. This game seems to have been made to inspire you on how to have fun outside. Get inspired! Yes! Almost everyone breaks rules, even the game drivers. Especially when you use your horn, they start to drive or act like mad some of them. You learn by seeing that this is not how it should be. You also learn to drive on the right side of the road and you learn how traffic lights works. I sometimes just try to drive as the others and keep the driving rules. Yes it is fun to just drive like crazy, but you notice and learn then how real traffic accidents can happen. Once you can go inside petrol stations, you can rob them. You can be mean or you can be nice. Here the game will introduce you to something that does happen in real life from time to time all over the world. It is not nice to steal or threaten people with guns. If you do it in GTA5, the Police will hunt you down. In real world this would also happen. In the western parts of the biggest town in GTA5, the roads got bike-only lanes painted on the roads. Also on one of the beaches in GTA5, you have them. You can choose to follow them or not. But this game keeps you in mind about how towns should be when it comes to bike friendly cities. If you bike around in the town in areas without them, you will learn how difficult it is to be a biker in a town without those bike-only lanes on the roads. Rihanna and Chris Brown are getting married this summer?